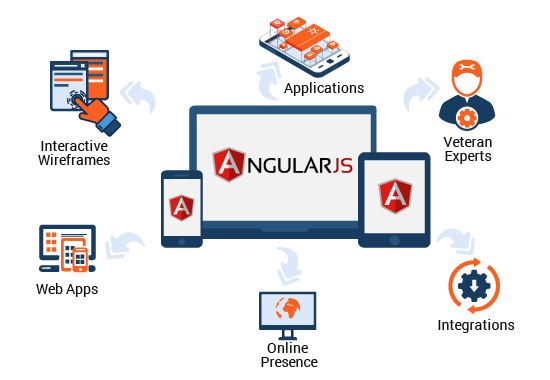 Kliff Technologies is One of the best AngularJS development companies is with the team of some top AngularJS developers, we prepare the web app with stunning graphics and smooth variations. The web apps we developed are always in animal-mode, competitors perform better than the launch date. The volume of the team of our ace developers has made us a top AngularJS development company. AngularJS supports routing and deep linking. This is very important for the kind of user experience you would want for your one-page app. AngularJS is Dependency inclination improves test capability and modularity of web applications, resulting in smooth, bug-free web applications. Supported by Google, you can rest assured that the quality of web applications developed using AngularJS will be unmatched and far superior to normal scripted web apps.